Dolan Geiman is a well-known & talented mixed media artist that creates original paintings, collages, constructions, and limited-edition reproductions. He was recently revealed to be one of the featured artists of Fossil’s Long Live Art campaign. On Saturday, Dolan installed a custom window display of vintage and recycled materials at the Fossil store in Dallas. 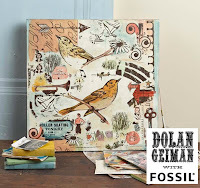 On July 31st, Dolan will travel to NYC to install window displays in the style of his Rescued Wood Construction collection at Fossil’s Fifth Avenue location. The window displays will be unveiled during a special in-store event held from noon-5pm. 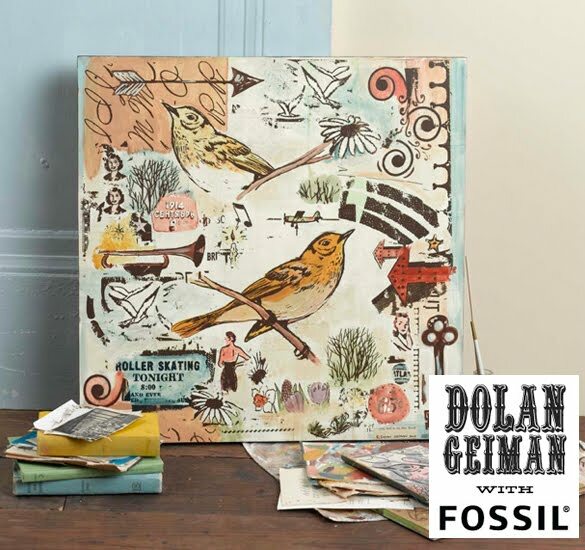 Visit the Fossil website to enter for a chance to win one of Geiman's full-size recycled works and a vintage-inspired Fossil product prize package. Contest runs through August 31, 2010. And be sure to check out Dolan's blog for more info & updates.